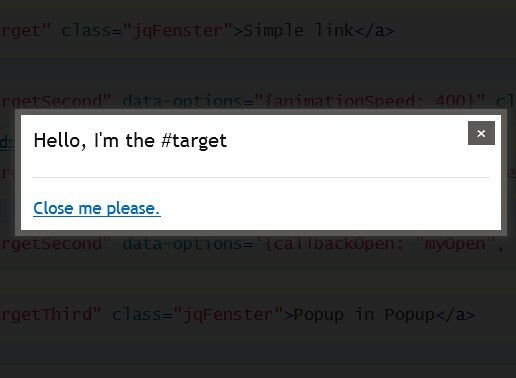 All the Free jQuery Plugins about 'popup' are listed here. Just another jQuery based JS popup box replacement which enables you to create alert / confirm / prompt dialog boxes with custom styles & animations. mb.balloon is a brand new jQuery tooltip plugin which displays animated tooltips/popups/hints with an optional fullscreen overlay on any DOM elements. A jQuery popup/gallery plugin which allows you to display multiple DOM elements with the same class and title attribute in a gallery lightbox. Flip Popup is a tiny, simple jQuery plugin used to pop up a modal window with a cool CSS3 flip animation. Simple Popup is a dead-simple jQuery modal plugin that popups a closable modal box with full-screen overlay and a smooth sliding animation effect. Just another jQuery dialog box plugin which provides a simple way to display popup / modal windows with a plenty of options for animations and custom styles. Avgrund Modal is a jQuery Modal Plugin for adding beautiful Modal Boxes & Popups to your website. Overlay.js is a minimalist jQuery plugin used to popup a responsive & CSS3 animated modal window with a fullscreen overlay. Pop Menu is a simple yet customizable jQuery plugin that allows to popup a responsive menu panel while clicking the toggle button. BlurBox is a small interesting jQuery plugin that blurs the background content while opening a modal/lightbox on your web page. Popelt is a highly configurable jQuery popup plugin to create responsive modal windows & dialog boxes that support both dynamic and static html content. lz-alert is a simple-to-use jQuery plugin used to create custom alert / confirm / prompt dialog popups with multiple CSS3 animations. jPop is a simple, lightweight jQuery modal popup plugin that works on images and links as well as Youtube and Vimeo Players. A basic jQuery popup plugin used to display a responsive, fullscreen, full styleable and ajax-enabled dialog/modal box on your web project. Exitpop is a jQuery plugin that popups a native confirm dialog on page exit (onbeforeunload) and jumps to another specific URL when you click 'stay on the current page'. A simple responsive and customizable modal plugin for jQuery that comes with 20 awesome popup transition effects. 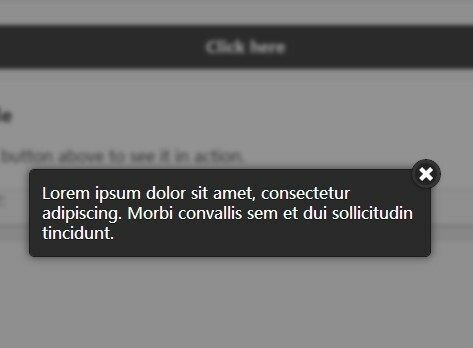 messageBox is a simple and small jQuery plugin that creates pretty dialog popups to show alert messages on your webpage. cornerSlider is a jQuery plugin for creating a corner popup window that slides out or in from the edge of the web page while scroll down or up. WOW Alert is a jQuery based alert() replacement used to create CSS3 animated, good-looking, modal-style dialog popup that can alert a user of anything you choose. An extremely simple jQuery plugin to create a responsive modal popup for showcasing your featured content. jAlerts is a jQuery plugin for creating animated, responsive and fully customizable alert popup to replace default JS alert() dialog. bPopup is a lightweight (~1.4 kb gzipped) jQuery plugin that provides you with all the logic like opening, closing, centering on resize & scroll, creating a modal overlay etc. stepframemodal is a jQuery plugin to create animated and heavily customizable modals & popups that cover the whole page with a fullscreen overlay. SimpleModal is a Beautiful and easy-to-use Popup Window Plugin for creating modal windows used to generate alert or confirm messages. Popup Tooltip is a jQuery plugin that helps you create animated & closeable tooltips appending to the Html elements on page load. A minimal jQuery plugin used to display any Html elements into a responsive modal-style popup window with various useful options. A super simple jQuery plugin which allows you to display a fullscreen popup window as well as locking the document scroll. 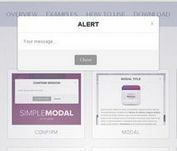 modal.js is a minimal jQuery plugin to show a highly customizable modal popup that is always centered in your screen. Morph Button is a small jQuery modal plugin inspired by codrops that allows to reveal any Html content by morphing the action button using CSS3 animations. Define is a small jQuery plugin that adds underlines to the pre-defined terms with 'question mark' cursor and displays the definition popups when hovered over. 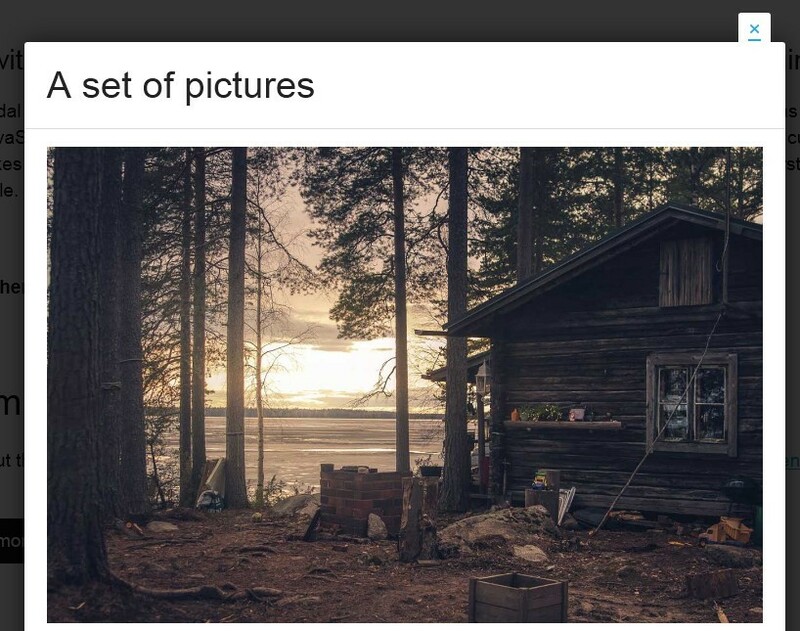 asPopup is a jQuery plugin for creating a responsive lightbox & modal window to present any Html elements like images, iframe, photo gallery, Ajax content and inline element. maskui is a lightweight yet powerful jQuery plugin which helps you create responsive clean dialog/alert/confirm boxes or modal windows with ease. Infobox is a really simple JQuery plugin that enables you to create modal-style popups with fullscreen overlay and easing effects (jQuery UI is required). 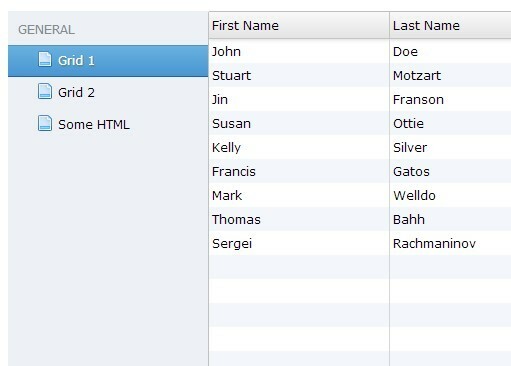 A super simple jQuery plugin to replace the native select box that allows you to pick an option in a nice popup box. 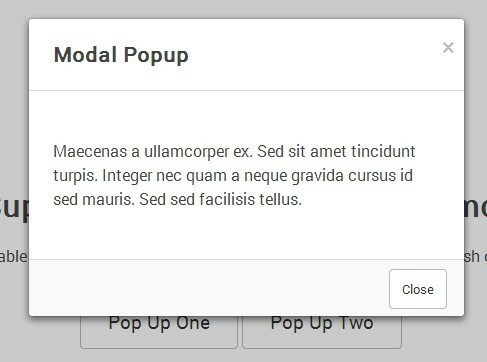 Area Popup is a small jQuery plugin that that allows you to popup a modal window that is always positioned in the middle of its parent container. Popup Window is a lightweight and easy to use jQuery plugin which allows you to open a new browser window with lots of customization options. A very simple and lightweight jQuery lightbox plugin which helps you create modals, dialog boxes, and popup windows with ease. Fancy Zoom is a super light jQuery image viewer plugin that displays the large version of your image in a popup box with image loader support. FBDialog is a very simple jQuery plugin to create a custom Facebook style dialog box that has popup animations and callback events support. 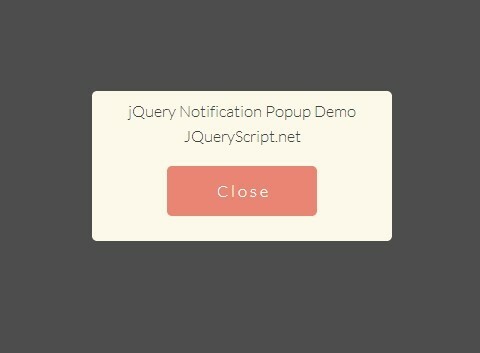 ClassyPopup is a small yet highly configuration jQuery plugin that popups alert & dialog windows to display important messages for your website/app. Pop is an easy and quick jQuery script that popups a simple clean tooltip box appending to any Html elements, with a basic CSS3 transition effect. animateDialog is a lightweight jQuery plugin that displays any html elements in a popup dialog box with CSS3 animations like fade, zoom, rotate, skew, and much more. Pop Up Window is a cross-browser and easy-to-use jQuery plugin for creating responsive flat popup windows and modal windows with custom buttons and callbacks support. popdown is an easy jQuery plugin used to load an Html page in a 'popdown' modal window that slides down from the top of your web page. wHumanMsg is a jQuery plugin for displaying humanized popup boxes with animation effects on your page to show the important messages, alerts, warnings, etc. Square Menu is a lightweight (~3kb) jQuery menu plugin that popups a menu panel with subtle CSS3 animations (transitions and transforms) in the center of the page. Dialog is an ultra-light jQuery plugin that allows to popups a draggable and closable modal dialog with amazing transitions on page load or on demand. Radiate Elements is a lightweight and dead simple jQuery plugin to popup hidden html elements around the center element as a full circle. 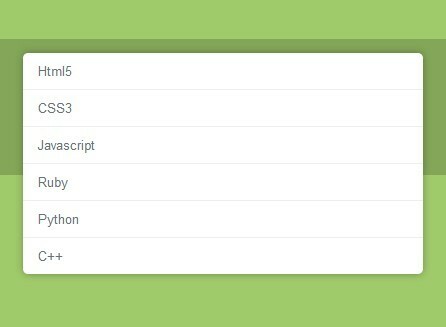 Jeegoocontext is a jQuery menu plugin that turns an unordered list into a versatile, customizable, skinnable and multi-level context menu with custom fade-in animations. Magnific Popup is a simple but powerful jQuery plugin that aims to create high performance and multi-functional lightboxs for your projects. NS Window is yet another simple jQuery modal plugin for creating popup windows with support for animations, overlay, ajax content and some useful custom options. moaModal is a clean and neat jQuery plugin for creating flexible modal boxes with custom animation effects and positioning. 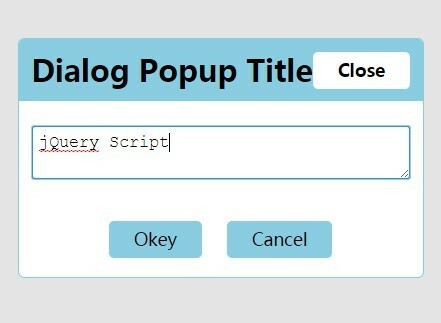 Message Box is an easy and fast jQuery plugin that allows you to create customizable popup window message boxes with many implement options and callback events support. Simple Modal is yet another simple and lightweight jQuery plugin for creating modal popup windows with full-screen overlay effect. modalBox.js is a lightweight (~2.7kb minified) jQuery modal box plugin that aims to provide a simple way to create modal windows with only most used features. jQuery overlayBox is a lightweight and fast jQuery plugin that makes it easier to create overlay box or popup box on your web page. jQuery Modal is a extremely lightweight jQuery plugin for creating neat, customizable, performant and easy-to-integrate modal windows on your website. Confirm Action is a simple but useful jQuery plugin that enhances the default confirm dialog that makes it has callback support and can be configured for each element through data attributes. Pop Easy is a super tiny (~2kb minified) but powerful jQuery plugin for easily and quickly creating Modal Windows on your website. dontJustLeaveMe is an useful jQuery plugin for checking the form values of the page have been changed, if yes, it will popup a alert window to make sure they want to leave when closing the current page. Basic Modal is a lightweight (~3kb) and easy-to-use jQuery plugin that allows you to create the most basic modal with fade or slideDown animation effects on the page. A very simple jQuery social plugin that allows you to create social media sharing dialogs (facebook, twitter, google plus, etc ) in a popup window. Engage is an useful and user-friendly jQuery plugin for website owner that displays a popup toolbar when your visiter finish reading an article containing engaging options (social sharing, commenting, and subscribe to newsletter). jquery-wm is a simple and lightweight jQuery plugin that allows you to create popup child windows in your web browser. 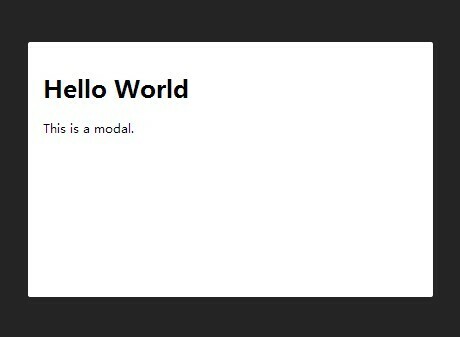 leanModal is a simple and useful jQuery plugin for adding Bare bones modal dialog windows to your website. It is great for login, sign up & alert panels, etc.